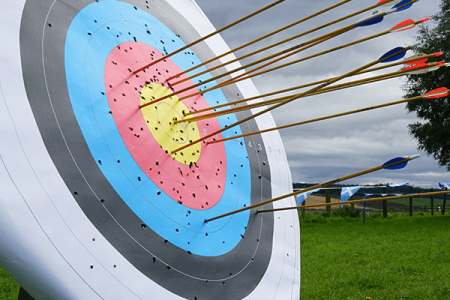 Challenge your stag group to a spot of Archery and find out which group member has the sharpest aim and can notch up the most points. There’s nothing quite like hitting the bullseye, right? Give it a shot and book Archery for your Stag Weekend in Edinburgh today! To mix it up we also offer Archery and Air Rifles as a combo activity for the same price. "Absolutely brilliant morning spent here. Our group of 9 lads loved the mini highland games, archery and air rifle shooting. Scott our guide was fantastic within all aspects, a credit to the company. Even with it chucking it down everyone carried on being as enthusiastic as possible. Great day out!" 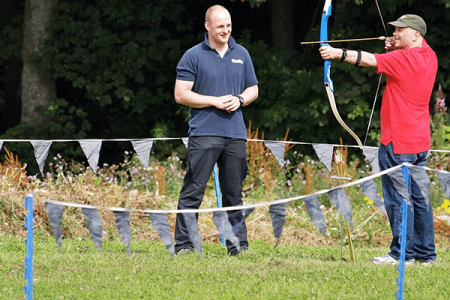 "Even on a wet Saturday in March when we turned up you guys had a smile on your faces.What an outstanding venue for a bit of fun.We had a competitive bit of Archery and Air rifles and I must say, although professional,you guys were a great laugh. Will definitely book you again for a longer day next time. Albeit a drier one hopefully."